In the latest installment from the “Anarchist Current,” the Afterword to Volume Three of Anarchism: A Documentary History of Libertarian Ideas, I discuss individualist anarchism in the United States and Europe prior to the Russian Revolution. In addition to the various revolutionary currents that existed within the anarchist movement prior to the outbreak of World War I, individualist anarchism began to emerge as a distinct current in the United States and Europe. 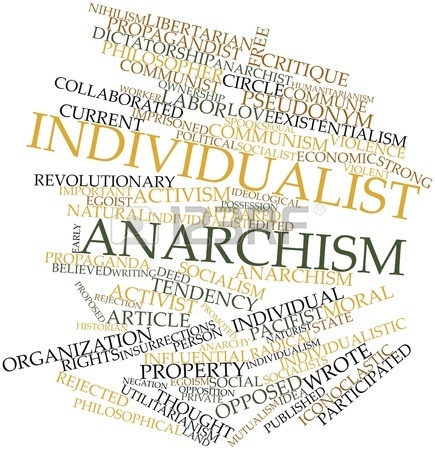 In contrast to many contemporary individualists, particularly in the United States, who sometimes identify themselves as “anarcho-capitalists,” a concept most anarchists would regard as hopelessly self-contradictory (Volume Three, Chapter 9), the individualist anarchists of the late 19th and early 20th centuries were anti-capitalist. The leading individualist anarchist in the United States was Benjamin Tucker (1854-1939). Tucker was a great admirer of Proudhon, translating What Is Property (1876) and Volume One of The System of Economic Contradictions (1888) into English. Nevertheless, when describing Proudhon’s anarchism, Tucker in reality set forth his own view of anarchism as “the logical carrying out of the Manchester doctrine; laissez faire the universal rule,” a position which Proudhon would have rejected. 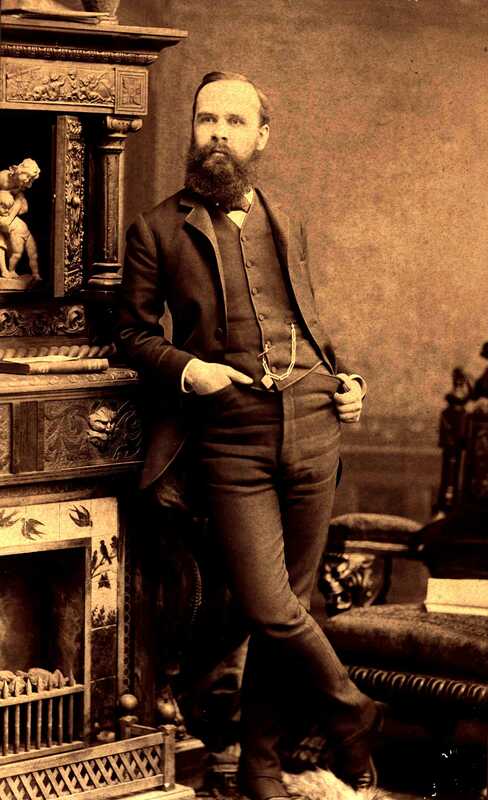 Tucker was opposed to compulsory taxation, state currencies, regulation of the banking system, tariffs, patents, and the large corporations, the “trusts,” that were building their own monopolies on the basis of these state “monopolies.” He denounced revolutionary anarchists, such as Kropotkin and Johann Most, as “Communists who falsely call themselves anarchists,” particularly for their advocacy of expropriation, which Tucker regarded as inconsistent with anarchist ends (Tucker, 1888). Yet despite Tucker’s discovery of Max Stirner’s egoism in the late 1880s (Martin: 249-254), Tucker remained a self-righteous ideologue disapproving of those anarchists who advocated armed struggle, expropriation and social revolution. Stirner, on the other hand, would have had no reason to condemn expropriation or the use of force, having suggested that the dispossessed simply take from the rich because “I give myself the right of property in taking property to myself.” In fact, Stirner can be seen as the original advocate of anarchist “illegalism,” when he argued that “in all cases where [the egoist’s] advantage runs against the State’s,” the egoist “can satisfy himself only by crime” (Volume One, Selection 11). It was this aspect of Stirner’s egoism that was seized upon by individualist anarchists in Europe around the turn of the century, who articulated and sometimes put into practice a much more radical conception of individualist anarchism than had been developed in the United States by Tucker and his associates, one which did not shy away from violence and which regarded itself as revolutionary. 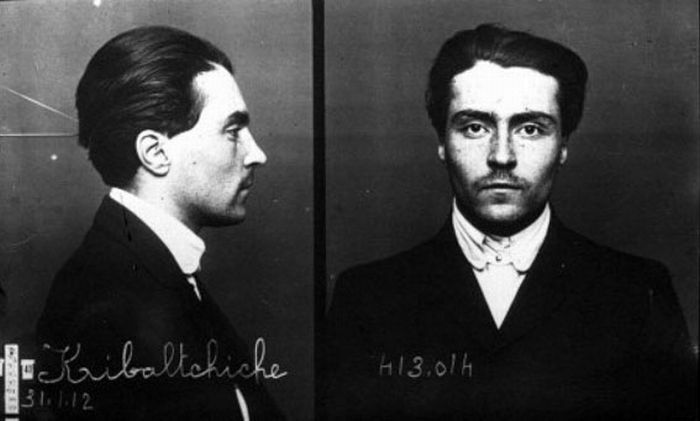 In 1909, the then individualist anarchist, Victor Kibalchich (better known by his later moniker, Victor Serge (1890-1947), after he went over to Bolshevism), wrote in France that the anarchist “chooses the methods of struggle, according to his power and circumstance. He takes no account of any conventions which safeguard property: for him, force alone counts. Thus, we have neither to approve or disapprove of illegal actions… The anarchist is always illegal—theoretically. The sole word ‘anarchist’ means rebellion in every sense” (Perry: 50). Kibalchich was associated with some of the future members of the “Bonnot Gang,” which conducted the first bank robbery using getaway cars in late December 1911. Soon after the robbery, during which a bank clerk was shot, Kibalchich wrote that the shooting “proved that some men have at least understood the virtues of audacity. I am not afraid to own up to it: I am with the bandits” (Perry: 90). However, after Bonnot was killed in a shoot out and Kibalchich was put on trial along with survivors of the gang, he tried to distance himself from the “bandits,” claiming that he was merely an anarchist “propagandist” who did “not pretend to defend” his former comrades, “for a gulf separates philosophical anarchists” from those who seek to justify their crimes in the name of anarchism (Perry: 158-159). It was the kind of betrayal Kibalchich was to repeat in Russia after the 1917 Revolution when he renounced anarchism altogether, throwing his support behind the Bolshevik dictatorship. When justifying the Bolsheviks’ violent suppression of the anarchist movement, Kibalchich (now Serge) again drew a distinction between “counter-revolutionary” armed anarchist groups who hid common criminals within their ranks, and “ideological” anarchists, who were allegedly left alone to make their “ineffective” propaganda (Serge, 1930). It was a distinction Lenin and the Bolsheviks were happy to make, but never honour (Berkman, 1925: 91 & 142-151). Emile Armand (1872-1962), a more consistent individualist anarchist writing in France in 1911, supported “illegalism… with certain reservations.” For him, the individualist “anarchist seeks to live without gods or masters; without bosses or leaders; a-legally, bereft of laws as well as of prejudices; amorally, free of obligations as well as of collective morality.” The European individualists shared the anti-organizationalist critique of all formal organization but, as with Tucker and his associates, opposed anarchist communism. The individual, Armand wrote, “would be as much of a subordinate under a communist system as he is today.” Armand believed that individual autonomy could only be guaranteed by individual ownership of the means necessary to support oneself, the product of one’s own labour, and the goods one receives in exchange with others. He was much clearer than Tucker in opposing “the exploitation of anyone by one of his neighbours who will set him to work in his employ and for his benefit” (Volume One, Selection 42). Both Tucker and the European individualists developed a conception of anarchism representing an incoherent amalgam of Stirnerian egoism and Proudhonian economics, although the European individualists were more consistent in their extremism. The problem for both is that while an egoist will not want to be exploited or dominated by anyone else, there is no reason why he or she would not exploit or dominate others. If the egoist can use existing power structures, or create new ones, to his or her advantage, then there is no reason for the egoist to adopt an anarchist stance. Furthermore, when each person regards the other simply as a means to his or her ends, taking and doing whatever is in his or her power, as Stirner advocated, it would seem unlikely that a Proudhonian economy of small property holders exchanging their products among one another would be able to function, for Proudhon’s notions of equivalent exchange and economic justice would carry no weight, even if they were feasible in a modern industrial economy. Armand rejected Proudhon’s notion of contract, arguing that “every contract can be voided the moment it injures one of the contracting parties,” since the individual is “free of all obligations as well as of collective morality.” At most, the individualist “is willing to enter into short-term arrangements only” as “an expedient,” being “only ever answerable to himself for his deeds and actions” (Volume One, Selection 42). Tucker, despite his attempts to base his anarchism on Stirner’s egoism, believed that contracts freely entered into should be binding and enforceable. In addition, he advocated the creation of “self-defence” associations to protect people’s property, opening the way, Kropotkin argued, “for reconstituting under the heading of ‘defence’ all the functions of the state” (1910: 18). Anarchist communists, such as Kropotkin, did not “see the necessity of… enforcing agreements freely entered upon” by people in an anarchist society, for even in existing society the “simple habit of keeping one’s word, the desire of not losing confidence, are quite sufficient in an overwhelming majority of cases to enforce the keeping of agreements” (1887: 47 & 53). Force is only necessary to maintain relationships of subordination and exploitation, “to prevent the labourers from taking possession of what they consider unjustly appropriated by the few; and… to continually bring new ‘uncivilized nations’ under the same conditions” (1887: 52).